Sound player designed for theatre use. Is there a better alternative to Macs Cue? Is Macs Cue really the best app in Audio category? Will Macs Cue work good on macOS 10.13.4? 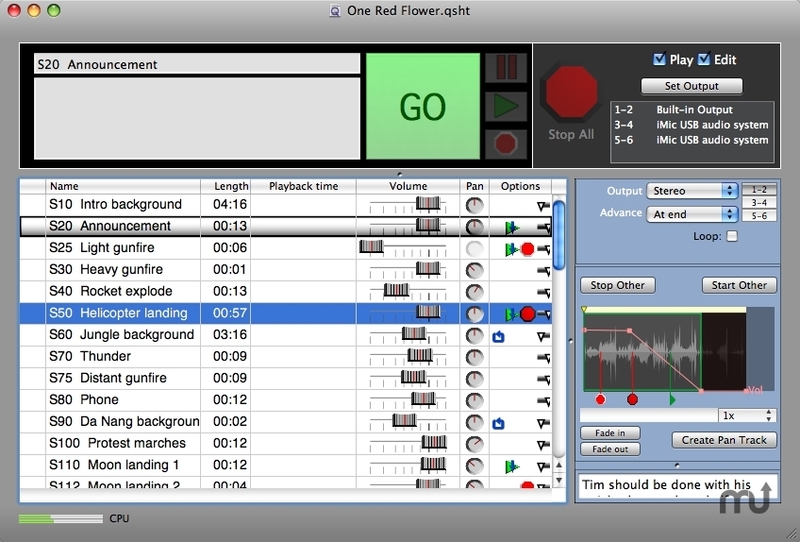 Macs Cue is a sound player optimized for scripted performances. You create a cue sheet containing all the sounds you want to play, then hit the space bar to play each one. Cues can be chained, and can be set to stop or fade other cues. After dragging sound files into your cue sheet, you can trim off the start and end of each cue, as well as automating volume and pan. Cues can be set to loop, and to start or stop other cues at any point while they're playing. Macs Cue needs a rating. Be the first to rate this app and get the discussion started! Great for small theatres, churches, schools, corporate presentations, or anywhere you need simple and reliable sound playback. Alice Cooper uses it in his shows, shouldn't you? 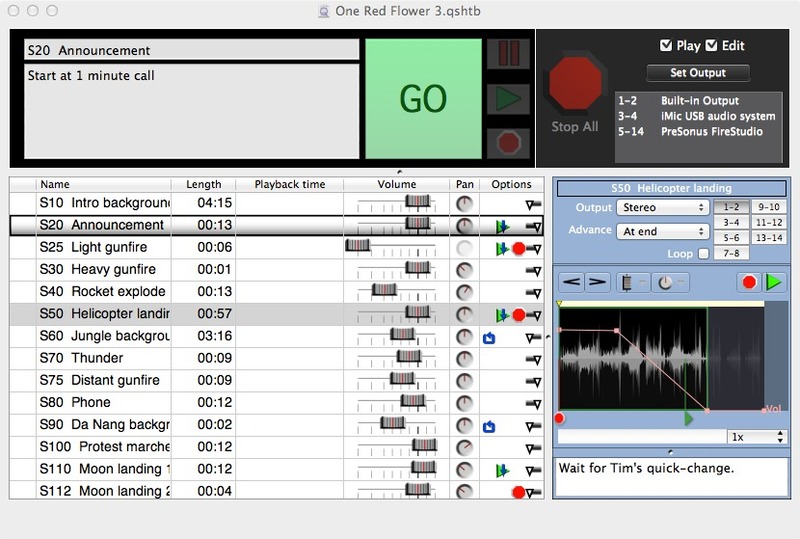 Version 2 is a major overhaul, and includes multichannel output with multiple output devices, multiple events per cue, volume and pan automation, notes, more precise volume control, and silent cues. It also displays CPU usage, and checks for new versions. Now requires OS X 10.5 or higher, and an Intel processor.